Think of West Yorkshire, and you will probably think of towns and cities, and the remains of long gone industries. The reason that so many of those lost industries were situated in West Yorkshire in the first place was because of the valleys, where plentiful water supplies drove the mills. Where you get a valley, you also get uplands, and West Yorkshire has those as well, though not always as obvious or well known. 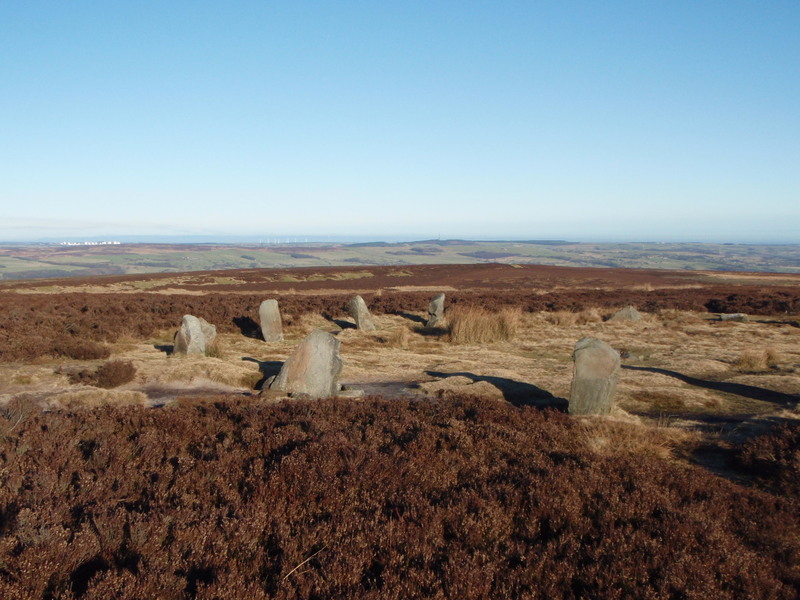 However, one bit of West Yorkshire upland is famous in the song “On Ilkley Moor, baht ‘at”. Two bits of confusion to clear up here. 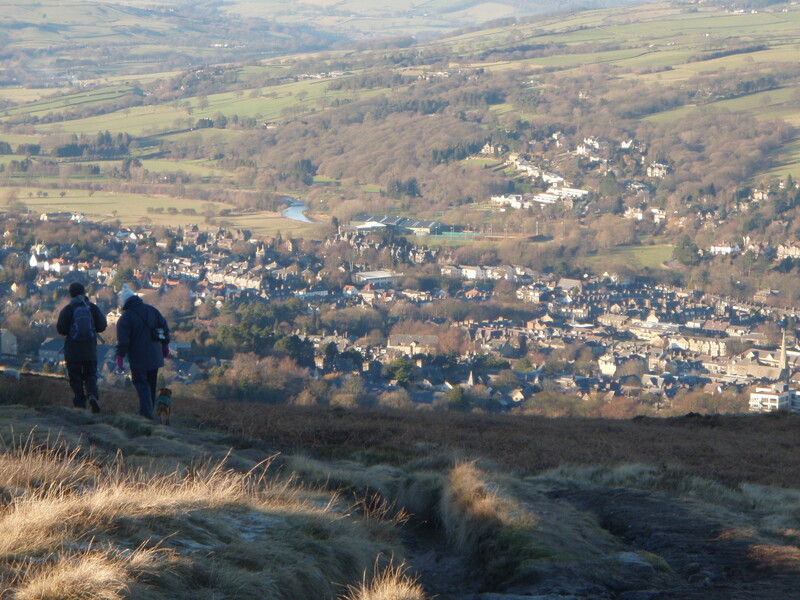 The landmass that most people regard as Ilkley Moor is, in fact, Rombalds Moor, and Ilkley Moor is the high ground directly above Ilkley town. The thing is, no one ever wrote a song called “On Rombalds Moor, baht ‘at”. And the second confusion to clear up, for those who are not from the North of England, is what does “baht ‘at” mean in the first place? Quite simple, it means “without a hat”, the consequences being terminal in the song. From our home (Shipley near Bradford) it’s a simple matter to walk to Ilkley over Rombalds/Ilkley Moor and from Ilkley to return home on the train. So, that’s what we did. 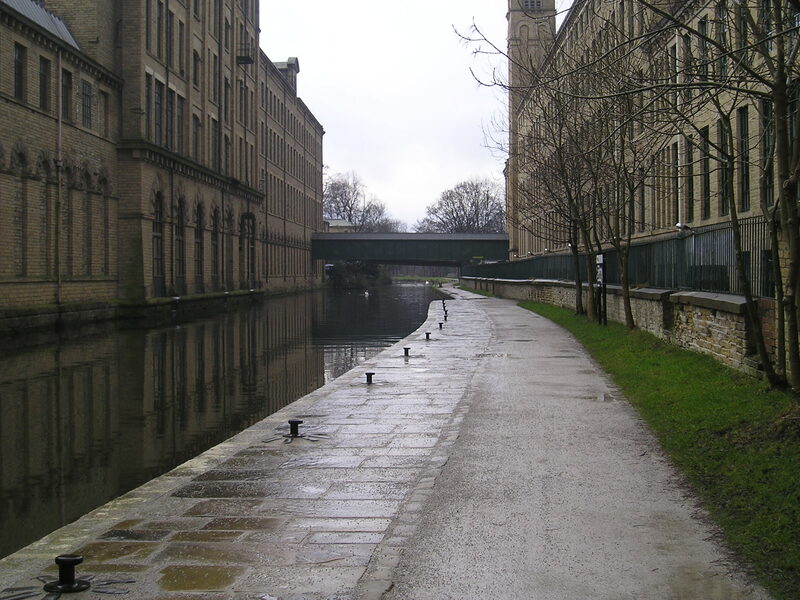 From Shipley the Leeds-Liverpool canal makes a pleasant connection with Saltaire, which is a world heritage site. Sir Titus Salt built a ‘square mile’ of houses for his employees in the 19th Century, including churches, halls and libraries – the only thing he wouldn’t include was a pub! From Saltaire we headed up Shipley Glen, a great local playground where you will see horses, mountain bikers, rock climbers bouldering and the ubiquitous dog walkers. 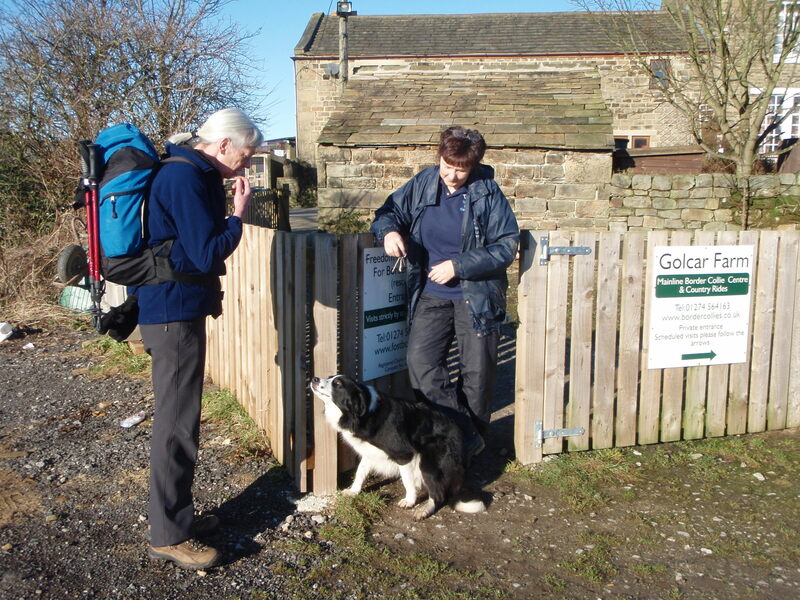 Also on our route was Golcar Farm, home of Mainline Border Collies, and the Freedom of Spirit Trust for Border Collies (FOSTBC – see below). Our Border Collie, “Mist”, was a farm dog that didn’t make the grade as a working sheepdog, and was re-homed with us by FOSTBC. After swapping a few tales with Barbara Sykes, who runs the trust, we set off again for the moor. 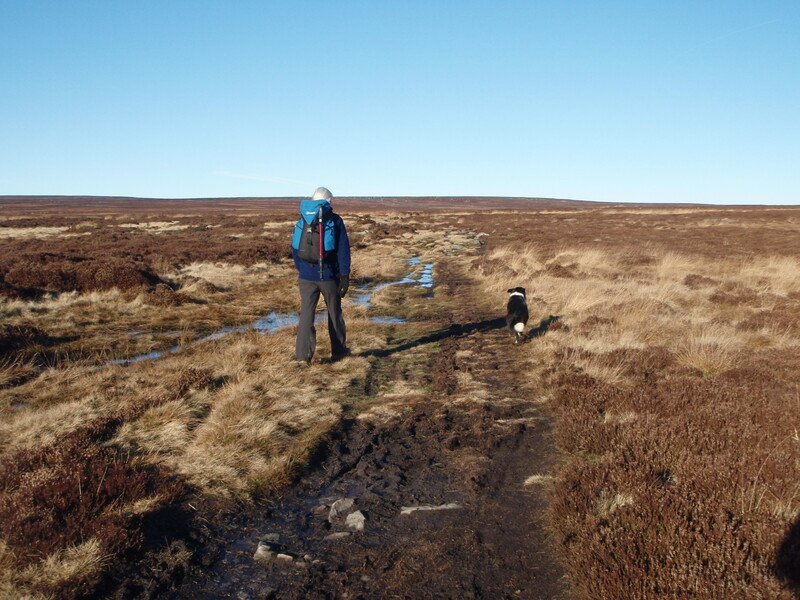 Cloudless blue skies, and hard frozen ground made walking over the moor a pleasure – all too often this route is misty, muddy or both. We made great progress up to what is literally the high point of the walk, the ‘Twelve Apostles’ stone circle. The circle is Bronze Age, and has stood on this spot for several millennia. In the distance we could see a more sinister example of the hand of humankind at work, the electronic monitoring station at RAF Menwith Hill. Despite its official title, the facility is run by and for the USA. From the stone circle it was all downhill to Ilkley and the railway station for the return trip. 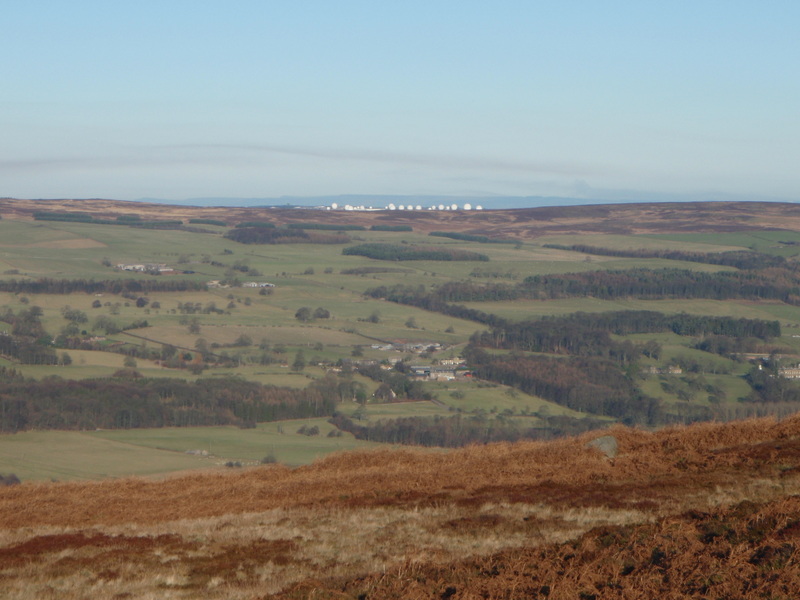 Ok, so Rombalds/Ilkley Moor isn’t the Cairngorm plateau (though when the north wind blows the snow directly in your face you might find similarities) but on a crisp, winter day it makes a fine excursion. Just remember to take your hat! p.p.s. Not much derring-do this week. If it’s gale force winds, avalanche conditions and steep snow and rock you want, come back next week for the report of my trip to Fort William last weekend – wrap up warm, though.